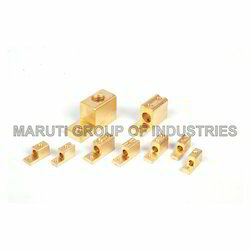 We are a leading Manufacturer & Exporter of Switch Gear Parts such as Brass Switch Gear Parts and Sheet Cutting Parts for Switches from India. Assisted by a team of adept professionals, we are engaged in manufacturing, supplying and exporting various types of Brass Switch Gear Parts. Our offered gear parts are engineered as per the defined guidelines and standards of the industry, employing technically advanced machines and cutting-edge technology. Furthermore, with an aim to manufacture best-in-class gear parts, we make use of premium-grade brass. 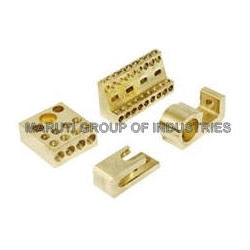 Our organization is a preeminent manufacturer, supplier and exporter of a vast assortment of Switch Gear Parts. These gear parts offered by us are manufactured in tandem with the set quality norms and guidelines with the aid of premium quality metals and allied material that is obtained from accredited vendors of the market. Apart from this, rigorous quality checks of these parts are carried out on strict quality parameters so as to ensure their perfect suitability in the applied application areas. Looking for Switch Gear Parts ?